Music artist Lady Gaga was filmed having a FaceTime conversation with Prince William of England in regard to mental health. Gaga stated that it was important to talk about these issues, and spoke of her struggles with mental health and post traumatic stress disorder (PTSD). Prince William suggested that victims of mental health should be as open as Gaga because it will help break the stigma attached to mental health. If you would like to learn more, click the button below. It's interesting when you can see how much of an impact a musician or band can have on our world. This quirky article describes the new shrimp species, the synalpheus pinkfloydi, and what caused the inspiration for it's name. Do you want to find out why? Click the button below. The Ryan Ace Music foundation is hosting a fundraiser at the Chick-fil-A in Orange City! If you purchase Chick-fil-A on April 24th between 5:00 and 8:00 PM and mention our foundation, 20% of your purchase will be donated to the foundation! Scientists at the Imperial College of London and Royal College of Music have found that while trying to concentrate on tasks, classical music might be the way to go for men, while women are not effected. 352 people were asked to to play Operation, while wearing headphones that played one of three tracks from either Mozart, AC/DC or the sounds of a theater in operation. Participants were tracked on both time, and amount of mistakes made. The study found that men who were listening to AC/DC were found to have made more mistakes, and take longer to complete the game. The music industry in Gambia was extremely restricted and underfunded. Many poets and musicians were unable to express themselves because it was forbidden under the direction of former president Jammeh. Since his exile in Equatorial Guinea, the music industry is flourishing and Gambians could not be happier. It is a great feeling knowing that Gambians are able to experience music and poetry without being fearful of the consequences by the government. If you would like to learn more, click the button below. A study published in the American Journal of Orthopedics found that patients who undergo music therapy while recovering from spinal surgery, compared to those who only use the regularly proscribed post-op care. Visual Analog Scale showed that in the control group, the pain rating went up from 5.20 to 5.87, whereas the experimental group had pain reduction from 6.20 down to 5.09. While making a video in African for the Comic Relief program, music artist Ed Sheeran paid for a hotel to rescue six children from abuse after witnessing a child being beaten. The singer urges viewers to donate to Comic Relief to help protect children around the world that still suffer from abuse and poverty. It was a good deed to do, and people are labeling Ed Sheeran as a hero. If you would like to learn more, click the button below. A recent study at West Virginia University lead by Dr. Kim Innes, has discovered that a simple meditation or music listening program. In a randomized study, 60 elderly adults with subjective cognitive decline, a condition that can be indicative of Alzheimer's disease, were either asked to attend a meditation session, or music listening to music for 12 minutes a day, for 12 weeks. Both the meditation and music listening saw an increase in cognitive function. Music artist Big Sean and his mother Myra Anderson are working together to create a new initiative to spark the creative fire in young students. Through his Sean Anderson Foundation, Big Sean is launching Mogul Prep. This is an education initiative designed to help students develop a proper career path in the music industry. Because of Mogul Prep, Sean and his mother Myra will give kids a reason to be enthralled by the excited about the idea of learning and attending classes on a regular basis. If you would like to learn more, click the button below. Scientists at Queen Mary University of London are closer to understanding music by studying vibrato. Vibrato is the up-down oscillation in pitch. Well-timed vibrato can greatly enhance the quality of the music being listened to. Using a system called Filter Diagonalisation Method, processes musical signal and analyze these signals with greater accuracy than before, with less information required before. Due to the rapid changes in vibrato, the techniques that are traditionally used require a larger window, have had a difficult time measuring this information. For more information, click below! International Women's Day took place on March 8th. The holiday commemorates gender equality and female rights. Many musicians took this opportunity to stand up for what they believed in. A letter was posted by Global Citizen and the importance of gender equality. Some of the musicians that participated in the holiday event and signed the letter were Beyoncé, Coldplay, John Legend, and Madonna. Other musicians celebrated and showed their support by posting on their social media. If you would like to read more, click the button below. An international research team working at Osaka University, along with Tokyo Metropolitan University, have created a machine-learning device that detects the users emotional state and creates music for a new emotional feeling. "Most machine songs depend on an automatic composition system," says Masayuki Numao, professor at Osaka University. "They are preprogrammed with songs but can only make similar songs." Music artist Chance the Rapper has announced he will donate $1 million to the Chicago Public Schools Foundation for arts and enrichment programming. His donation was made possible from his ticket sales for his upcoming Spring tour. In addition to the $1 million donation, Chance gave out 10 additional $10,000 donations to certain local schools, one including Westcott Elementary. The artists generous donations are a great example of someone giving back to the world. If you would like to learn more, click the button below. A new study published in the scientific journal "Brain and Cognition" says that playing an instrument can have an impact on reaction time and speed. Simon Landry said that during his study, musicians have a faster overall reaction time to stimuli than non-musicians. 16 musicians and 19 non-musician were sat in a room and hooked up to a devices that vibrated on their finger. The participants were told to click the mouse when they felt a vibration, or when they heard white noise, or both. The test was run 180 times for each criteria. Research found that musicians had an overall better reaction speed than those who were non-musicians for each test. Performer Beyonce has encouraged her fans to participate in a 100 Days of Kindness challenge held by the Gay, Lesbian and Straight Education Network (GLSEN). The campaign shows support towards the LGBTQ community. There are also several other artists that are have shown their support such as singer Sia, and actress Elizabeth Banks. If you would like to learn more about the campaign, click the button below. Can Music Change how you Work and your Cooperation? The Journal of Organizational Behavior observed whether happy or sad music made people feel more cooperative. The researchers had the "happy group music," listen to a playlist that included songs such as "Walking on Sunshine" and "Yellow Submarine," while the "unhappy music group listened to music from obscure metal bands. The two groups were asked to put money into a pool and then that money would be multiplied by 1.5 and then divided betweeen the participants evenly. Those in the "happy" group were found to be more cooperative in donating than those in the "unhappy" group. Music may make work slower when doing work such as essay writing, implying that music may be better suited for busy work that doesn't require much thought, or lacks a definite deadline. 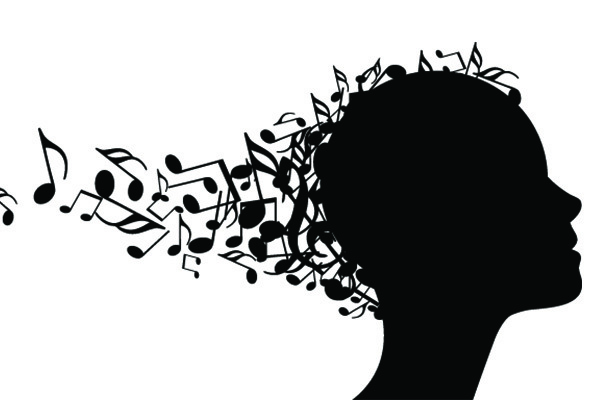 This moving article explains the importance and impact music and sounds can have on our life. Think of a song you may have listened to as a child, and you hear it for the first time in years. That song can remind us of a particular moment or previous chapter in our life, which can bring back emotions. This can inspire us to make action, or rather, reminisce. You might not think how much a particular song can make an impact. If you would like to learn more, click the button below. This past Sunday, Lady Gaga performed an epic half time show during the 2017 Super Bowl. The musician stressed the importance of inclusion and acceptance. There were no controversies and the positivity radiated throughout field as the singer yelled "We're here to make you feel good" mid-set. Her sales spiked 1000% after her performance with new sales and downloads streaming in. If you would like to see her performance, click the button below. McGill University researchers have identified a new condition called musical anhedonia, which they claim effects three to five percent of the population. Those that are afflicted by the disorder show reduced activity in the Nucleus Accumbens, part of the pleasure center of the brain. For more information, follow the button below!